for us through Jesus Christ. This post, being Part XII of an ongoing series, flows from previous entries, links to which I have provided here: https://blogatheologica.wordpress.com/2013/07/12/guide-to-posts-about-lutheran-worship/. To be concise, the 1960s and the 1970s occurred and brought with them not only in regrettable hair styles and unforgivable clothing fashions, but also liturgical changes. The best of these liturgical changes we call “liturgical renewal,” which semi-traditional worship partisans such as the author applaud for returning to older, lost practices while modernizing language. On the other hand, some liturgical volumes from the time are far from graceful. They are so 1970, as in the Presbyterian Worshipbook (https://blogatheologica.wordpress.com/2013/07/03/the-worshipbook-services-and-hymns-1972-services/). In LCMS politics, related to relations with other Christian (especially Lutheran) denominations, the 1969-1976 civil war ended with the conservatives in control at headquarters. Many relatively liberal-minded people left to form the Association of Evangelical Lutheran Churches (1976-1987), which went on to join TALC and the LCA to form the Evangelical Lutheran Church in America (ELCA). Liturgical revision began in the LCMS in the 1950s. A sufficient amount of time had passed since 1941, given the expected lifespan of official hymnal-service books. The LCMS, at its 1965 convention, resolved to join with other Lutheran denominations to share liturgically and musically with them as part of an effort to develop a common liturgy and hymnody. Thus the Inter-Lutheran Commission on Worship (ILCW) came into being. Representatives of three U.S. bodies–the LCMS, the LCA, and TALC–and two related bodies–the Synod of Evangelical Lutheran Churches (SELC) (which merged into the LCMS in 1971) and The Evangelical Lutheran Church of Canada (a spin-off of TALC) got down to work in 1966. More than a generation has passed since The Lutheran Hymnal first appeared in 1941. The intervening years have brought many changes in Christian living that have led to new worship needs. New concerns for social structures, colleges, armed forces, missions, the inner city, and racially or culturally conscious groups have raised a need for updating liturgical and hymnodic materials both as to language and form. When this need first began to be felt, a thorough revision of The Lutheran Hymnal was planned and begun. The project was abandoned several years ago in favor of a program designed to lead to an eventual all-Lutheran hymnal in English. The present Worship Supplement was meanwhile chosen to supply the worship needs of the Church until the proposed long-range project could produce a more permanent hymnal…. Ironically, the Worship Supplement foreshadowed the Lutheran Book of Worship (LBW) (1978) more than its LCMS counterpart, Lutheran Worship (LW) (1982). People: in the name of Jesus Christ. All: We are here because we are men–but we deny our humanity. We are stubborn fools and liars to ourselves. We do not love God nor other people as we ought. We war against life. We hurt each other. We are sorry for it and know we are sick from it. We seek new life. Minister: Giver of life, heal us and free us to be men. All: Holy Spirit, speak to us. Help us to listen, for we are very deaf. Come, fill this moment. It moves the Creed from before the sermon to afterward, improving the flow of the service. It establishes three readings from the Bible as the norm in Sunday worship. It provides three options for the Canon/Prayer of Thanksgiving in the Eucharistic rites. Among these is a variant of the prayer from the Service Book and Hymnal (1958). The Nicene Creed is in the first-person plural, thereby following the Greek text. The Church is “catholic” (without so much as an asterisk or a footnote) in the Apostles’ and Nicene Creeds. From 1969 to 1976 the ILCW prepared and published a series of booklets containing provisional liturgies. This was the Contemporary Worship series. O God, give us bread to nourish our bodies, and in Christ give us the bread of eternal life, that in him we may grow and thrive and serve; through your Son, Jesus Christ our Lord. That prayer, which became dated quickly, did not survive long enough to become part of the LBW, fortunately. One purpose of softcover authorized liturgical resources is to experiment during the transitional period en route to the next hardcover service book. The ILCW and the LCMS did this contemporaneous with The Episcopal Church as it went through Prayer Book revision. In both cases experimentation led to much that was meritorious and retained in some form in the next service book and to much that revisers wisely left abandoned by the proverbial road. And Lutheran and Episcopalian revisers influenced each others’ work; the LBW and The Book of Common Prayer (1979) have much shared content. 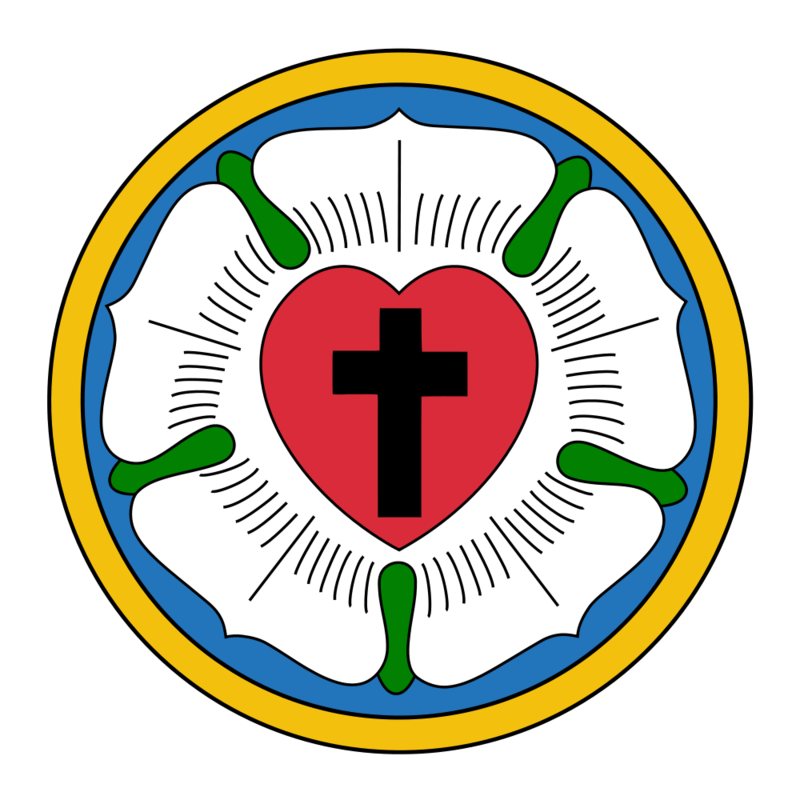 The LCMS rejected the LBW and prepared its own revision, Lutheran Worship (1982), based on the ILCW texts. the Ministers Edition, with all the rubrics and liturgical words. I write this assessment based on (1) and (3). The Psalter is partial in the Pew Edition and full in the Ministers Edition. The Ministers Edition contains the Ash Wednesday and Holy Week Services; the Pew Edition does not. The Pew Edition contains two Canons/Prayers of Thanksgiving; the Ministers Edition has four, including a variation on the 1958 text. Eucharistic Prayer I (in the Pew and Ministers Editions) is a revision of the text from Contemporary Worship 2: Services–The Holy Communion (1970). Eucharistic Prayer II (in the Pew and Ministers Editions) elaborates on Eucharistic Prayer I. The roots of this form (II) go back to 1975. Eucharistic Prayer III (in the Ministers Edition), which does not require congregational participation, is a slight revision of the prayer from the Service Book and Hymnal (1958). Eucharistic Prayer IV (in the Ministers Edition) is based on a third century text by Hippolytus. The LBW resembles the 1979 Prayer Book with chanting added throughout. The LBW also draws on the best of liturgical renewal from the 1960s and 1970s, such as the Calendar reforms of the Roman Catholic Church. As in the LCMS Worship Supplement (1969), the Creed follows the sermon, the Nicene Creed is in the first-person plural, and the Church is “catholic” without an asterisk or a footnote. There is also Lutheran Book of Worship: Occasional Services (1982), which I do not not own. Based on what I have read, it would tell me how to install church officers, dedicate a church, lay a cornerstone, et cetera. The Common Service antecedents of the LBW are obvious. Yet the LBW corrects some of the great flaws of that 1888 body of liturgy, such as the placement of the Creed relative to the sermon. Thus the LBW is superior to the unaltered Common Service. I plan to write about more “nuts and bolts” while comparing and contracting the LBW with the LCMS variant, Lutheran Worship (1982), in the next post. Commission on the Liturgy and Hymnal, The. Service Book and Hymnal. Music Edition. Philadelphia, PA: United Lutheran Publication House, 1958. Common Service Book of the Lutheran Church. Philadelphia, PA: The Board of Publication of The United Lutheran Church in America, 1917, 1918. Evangelical Lutheran Synodical Conference of North America, The. The Lutheran Hymnal. St. Louis, MO: Concordia Publishing House, 1941. Inter-Lutheran Commission on Worship for Provisional Use. Contemporary Worship 2: Services–The Holy Communion. 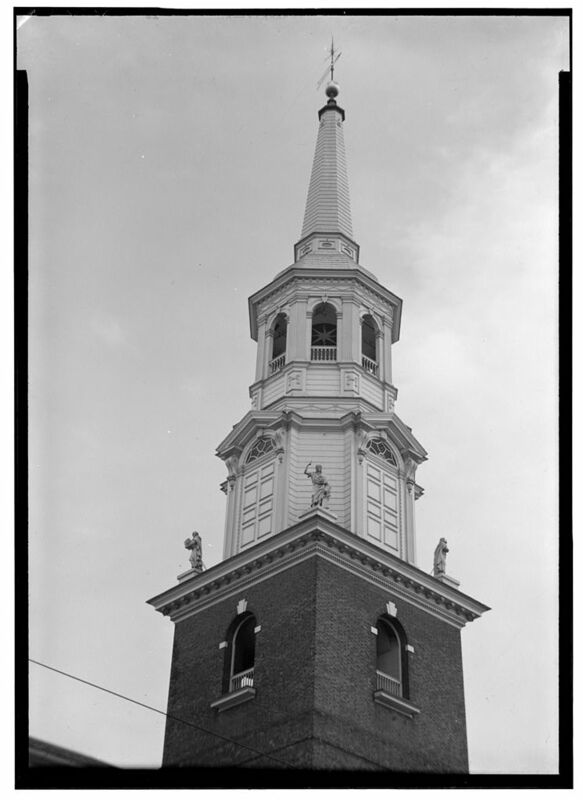 Philadelphia, PA: Board of Education, Lutheran Church in America, 1970. Lutheran Worship. St. Louis, MO: Concordia Publishing House, 1982. Melton, J. Gordon. Encyclopedia of American Religions. 4h. Ed. Washington, DC: Gale Research, Inc., 1993. Pfatteicher, Phiip H. Commentary on the Lutheran Book of Worship: Lutheran Liturgy in Its Ecumenical Context. Minneapolis, MN: Augsburg Fortress, 1990. Pfatteicher, Philip H., and Carlos R. Messerli. 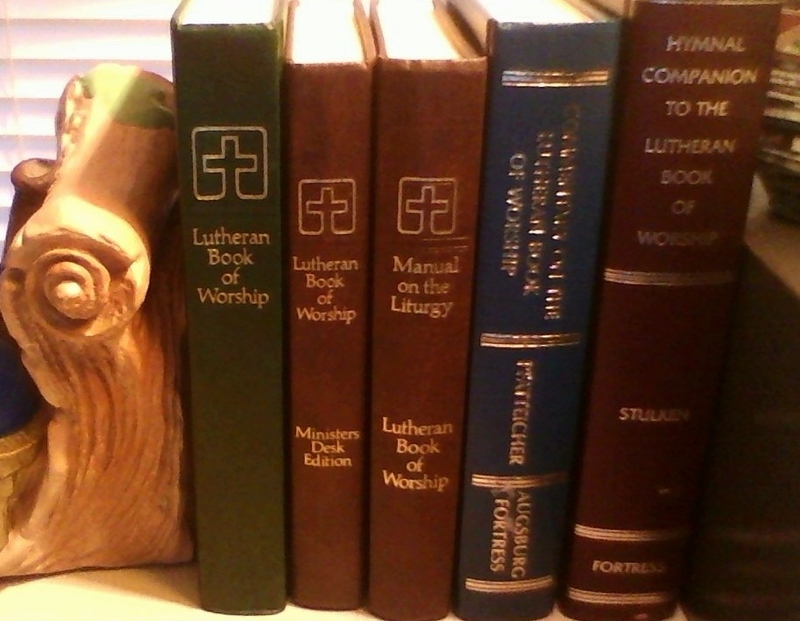 Manual on the Liturgy: Lutheran Book of Worship. Minneapolis, MN: Augsburg Publishing House, 1979. Reed, Luther D. The Lutheran Liturgy: A Study in the Common Service of the Lutheran Church in America. Philadelphia, PA: Muhlenberg Press, 1947. __________. The Lutheran Liturgy: A Study in the Common Liturgy of the Lutheran Church in America. 2d. Ed. Philadelphia, PA: Fortress Press, 1959. Stulken, Marilyn Kay. Hymnal Companion to the Lutheran Book of Worship. Philadelphia, PA: Fortress Press, 1981. Schalk, Carl. ”A Brief History of LCMS Hymnals (before LSB).” Based on a 1997 document; updated to 2006. Copyrighted by The Lutheran Church–Missouri Synod. Stuckwisch, D. Richard. “The Missouri Synod and the Inter-Lutheran Commission on Worship.” Lutheran Forum, Volume 37, Number 3 (Fall 2003), pages 43-51.